The Robotics & Automation exhibition is taking place 11th & 12th October 2017 at Arena MK, Milton Keynes. 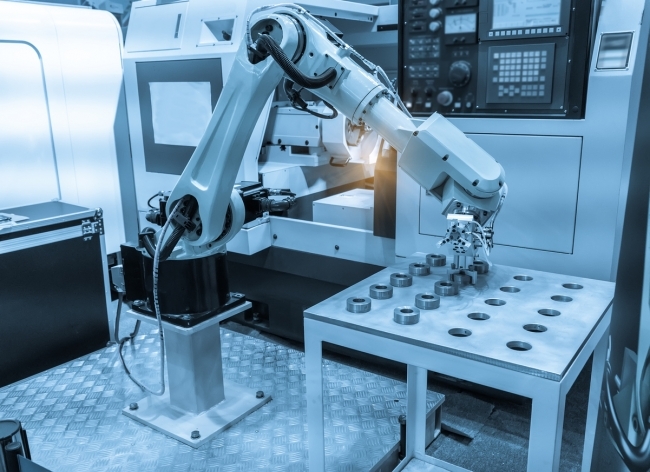 This innovation-packed exhibition offers visitors the opportunity to meet and connect with robot manufacturers, system integrators and experts in automation & machine vision. The show’s top name suppliers will be ready and waiting to help visitors improve efficiency, reduce costs and gain a competitive advantage in a global marketplace. Passes are completely free for end-users at www.roboticsandautomation.co.uk making this a cost effective way for practitioners to discover the latest cutting-edge innovations transforming the logistics and manufacturing industries. • Meet 40+ exhibitors and find out how the latest technology can provide massive improvements in productivity and accuracy. • Attend completely free seminar sessions and hear directly from the minds behind the latest technology. Listen to industry leaders as they share their insights and give real world examples of how they have automated their customers operations. • Live demonstrations of the latest solutions will be taking place on stands so visitors can get first hand insight into how they work in practice. Be one of the first to see the latest innovations perform right before your eyes. • Share ideas and make brand new contacts through the networking opportunities at the show. Connect with industry leaders and ensure you are aware of the latest innovations transforming the industry. • Condense weeks of research into just a few hours at the show. Robotics and Automation 2017 brings the latest innovations together all under one roof. Robotics and Automation 2017 is taking place at Arena MK which is a fantastic, modern venue easily accessible by both car and train with free parking.